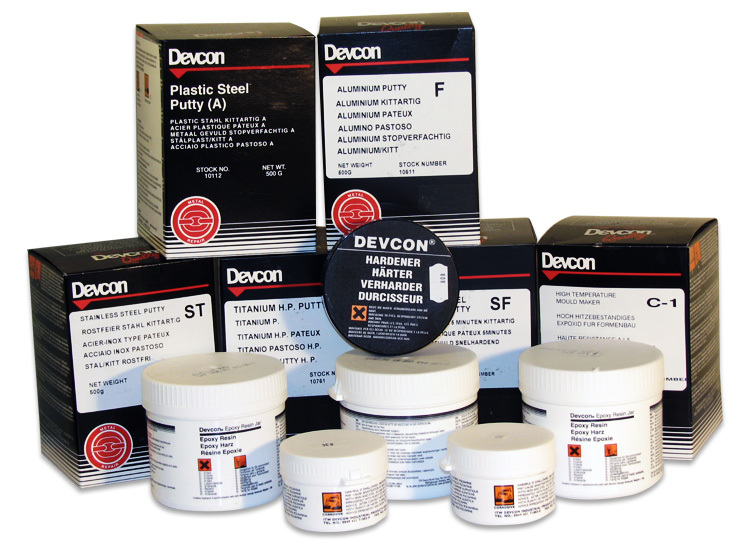 Devcon A, Devcon B, Devcon SF, Devcon BR, Devcon ST, Devcon F, Devcon F-2, Devcon Titanium P, Devcon WR, Devcon UW, Devcon C-1. 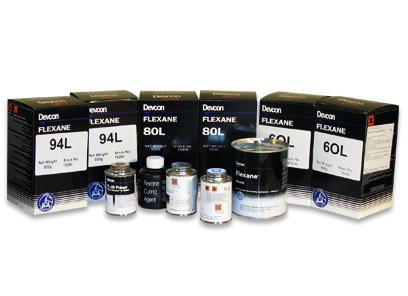 Devcon Flexane 60L, Devcon Flexane 80L, Devcon Flexane 94L, Devcon Putty HP. 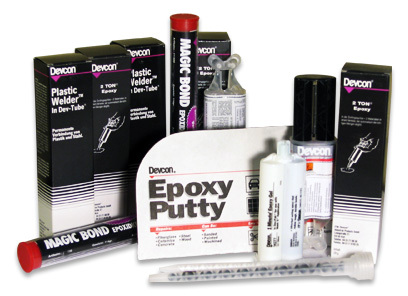 Devcon Plastic Welder, Devcon 2-Ton Epoxy, Devcon 5 Minute Epoxy, Devcon 1 Minute Epoxy, Devcon Magic Bond.